One of the best ways to use modern technology to drive retail traffic is geolocation. Not only is it cheaper and easier to manage, but it’s more effective — 57% of consumers are more likely to engage in location-based advertising. Using Google AdWord's location-based targeting allows ads to be shown only within a certain geographic area or areas. This allows businesses to advertise to customers in close proximity to them, leading to an increase in ROI and drawing customers into stores. Another lucrative tool is local inventory ads. According to Google’s research, ads that show local inventory drive customers into stores, with 50% of customers making an in-store purchase after searching for products sold nearby. After all, who wants to pay and wait for shipping if the thing you want is right down the street? Another option is Facebook’s local awareness ads. A key feature of these ads is the ability to for multi-location businesses to create locally-targeted ads for each of their storefronts. Right now, there’s a disconnect between physical retail inventory and digital retail inventory. By making the inventory of physical retail locations available online, shoppers can conduct a simple Google search to find merchandise they’re likely to purchase in-store, and then be directed to the local retailers that have their items in stock. Customer experience is important. In fact, 89% of customers have stopped doing business with a company after receiving a poor customer experience and 55% of customers admit that they would gladly pay more for a better customer experience. With stats like these, you can’t afford to offend your customers. But good customer experience is more than just politeness and servility -- it encompasses the entire interaction a customer has with a business, from the moment they first walk into their post-purchase attitude. Customers expect transactions to be quick and timely. Waiting in line, struggling to find an available sales associate, and not being able to find what they need in-store will incite feelings of frustration and may even cause them to leave the store without making a purchase. One study reveals that ⅔ shoppers couldn’t find the information they were looking for in a store and 43% of those shoppers left the store feeling frustrated. On top of that, 46% of shoppers feel that they know more than sales associates. While a business owner’s first gut-reaction may be to focus on training retail employees in product knowledge and encourage them to engage everyone that walks into the store, the reality is that most customers research what they want online before walking into a store and many would prefer not to be disturbed by sales associates when shopping. This is particularly true for younger customers, 72% of which research their options online before going to a store. With this in mind, consider investing in self-service technology such as interactive kiosks or digital displays, which would allow customers to look up the information they need while engaging them in your brand and product. Self-help technology is also more likely to drive sales, as 69% of shoppers stated they would be more likely to buy in-store if given self-help technologies like kiosks or interactive displays. Retail employees should be readily available and easy for shoppers to locate in the event that they need help finding a product or want a second opinion. For this reason, retail business owners should focus on training their employees in sales tactics -- a practice followed by Steve Ruscigno of Oregon Hot Tub, a profitable pool and spa business based in Portland, Oregon. 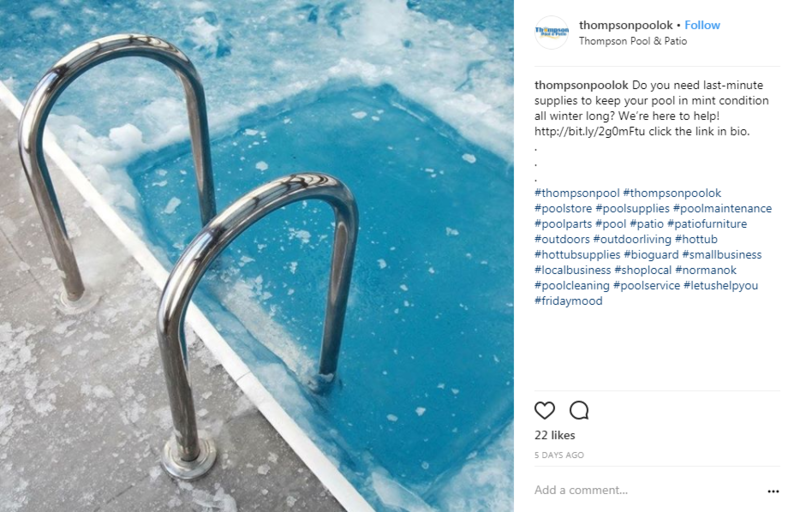 Because of how long it takes to train employees in product knowledge, Oregon Hot Tub focuses more on sales ability than anything else. Think of it this way: How many people do you have in your store on a busy day? If you spend just one dollar on every one of those people to make their experience memorable, and allocate money in your marketing budget for it, it’s probably a screaming good deal compared to the newspaper ad you ran last year. People talk about stores like that! There are many ways for retail businesses to make their shoppers’ experience impactful, from creative window displays to live product demonstrations to cozy sitting areas. For pool and spa retailers, implementing this practice is especially easy: pick a game sold in-store and invite customers to play it or have your employees demonstrate it, create an immersive environment by using whale or ocean soundscapes, or even offer refreshments such as tea or lemonade. By using social media marketing, retailers can draw traffic into stores while also increasing brand awareness and engaging with customers in a new way. There are many different social media platforms available but five in particular — Facebook, Twitter, Yelp, Pinterest, and Instagram — are essential to retail businesses. Not only are they used by nearly everybody (81% of Americans had social media accounts in 2017) but they’re highly visual — a good thing, considering that 65% of people are visual learners and 90% of information processed by the brain is visual. What makes social media valuable for in-store traffic is social sharing. According to one study, 62% of consumers share local deals with friends. Using Facebook, Twitter, Instagram, or Pinterest, businesses can promote in-store events, raffles, contests, or sales promotions. With Instagram and Twitter, businesses can use hashtags to make their posts searchable. Hashtags are used to categorize content, meaning if someone were to click on a hashtag they would see all posts with that hashtag. Tagging your Instagram posts will make their discoverable by anyone that exploring that hashtag, but the likelihood of your post being seen depends on your follower count, the number of likes and comments it has, and how often the hashtag is used. When asked how to improve a customer’s retail experience, Steve Ruscigno of Oregon Hot Tub responded that investing in mobile point-of-sale devices with the ability to look up inventory and search customer information to complete customer transactions would increase the speed of sales and give his business a modern, professional look. He’s not wrong -- line-busting, the ability to complete transactions from anywhere within a retail store using a mobile device, is increasing in popularity and usage across all retail industries. Line-busting improves customer experience by making transactions seamless and effortless -- no more waiting in line. But checking out isn’t the only benefit tabular and mobile devices give retailers: another benefit is ease of information. With a tabular device on hand, sales associates can quickly and easily answer customer questions about inventory levels, product information, and pricing.The more efficient a customer interaction is, the greater likelihood that a customer will return. Retailers can create a seamless, omnichannel experience that drives foot traffic into stores by sharing deals, coupons, and discounts through email marketing, direct mail, and SMS marketing. 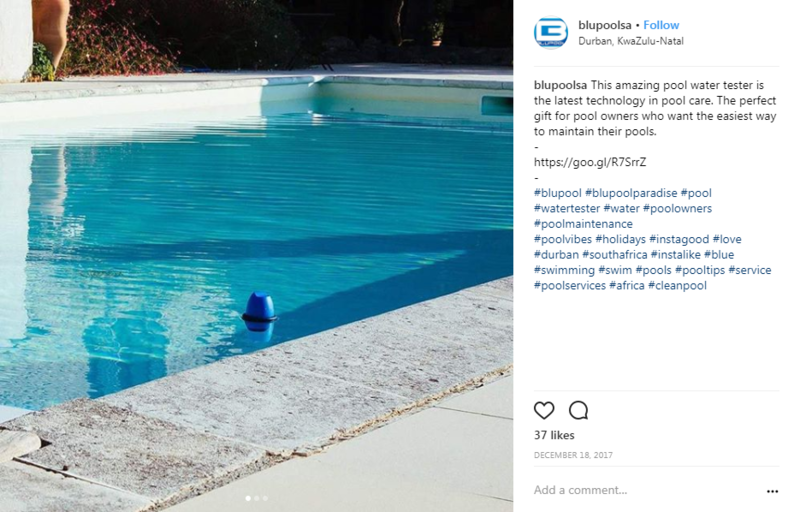 Oregon Hot Tub mails local customers postcards and BioGuard coupon books with a year’s worth of coupons -- a tactic they’ve found to be very successful with clients -- while Pool and Spa House offers a 20% discount every March. Brick-and-mortar stores are not dead nor are they dying. 96% of total retail sales are generated at retail stores and while e-commerce continues to grow, many consumers would rather buy products in close proximity to them than wait to have their items delivered. By implementing these digital marketing strategies, retail businesses will see a dramatic increase in foot traffic and conversion rates.